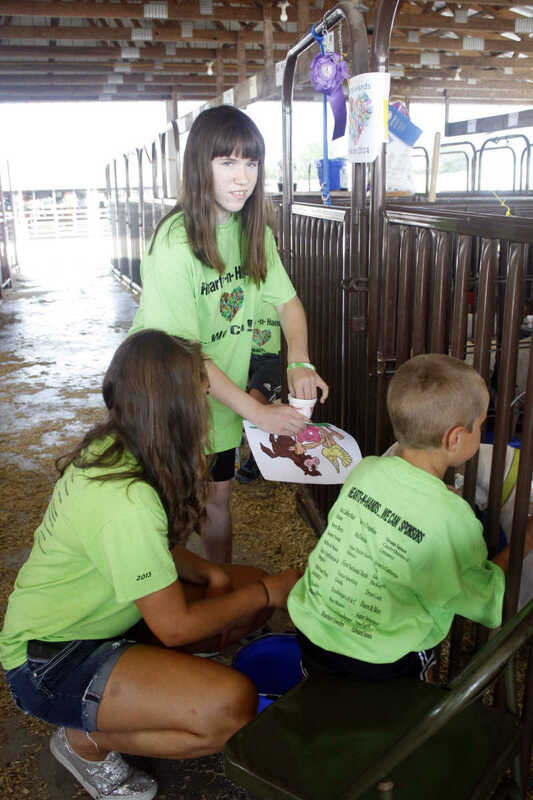 Amanda Gilbert feeds goats with Morgan Ernsbarger and Jace Daulton during Hearts and Hands. Hearts and Hands participants pose for a photo before heading out to explore the fairgrounds in pairs. 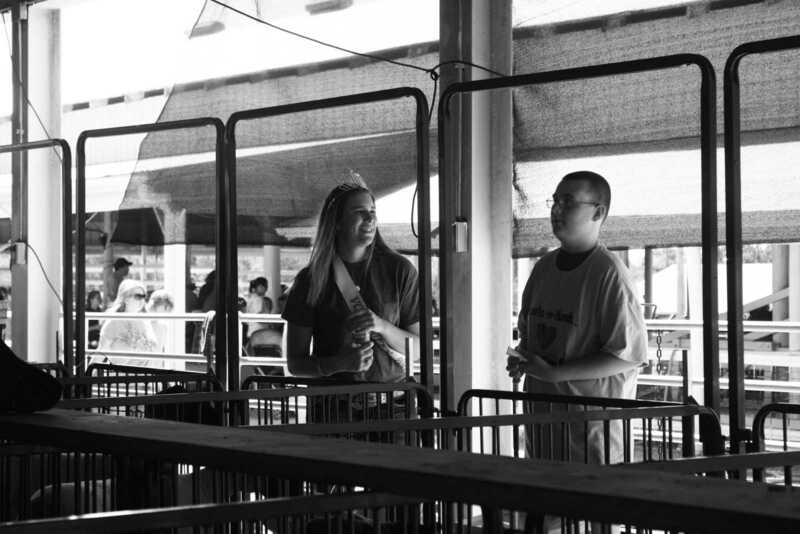 Fair queen Cydnee Piper looks at goats with Levi Cox during the Hearts and Hands program. 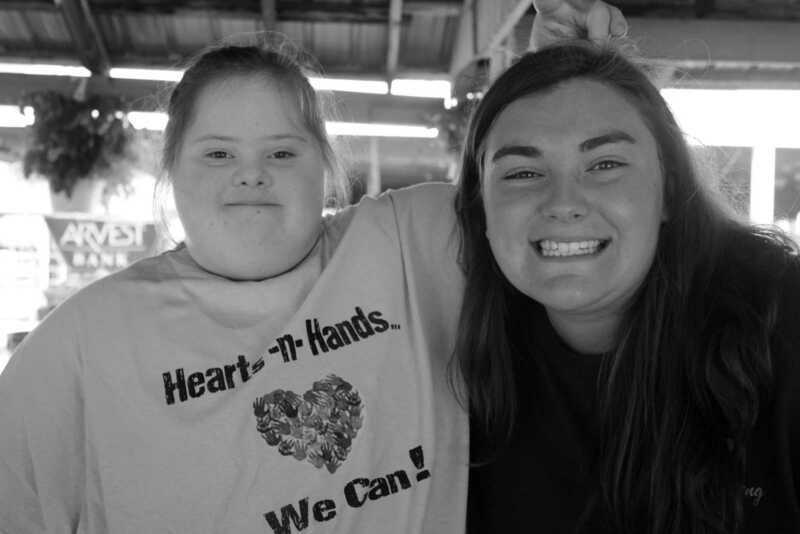 Carla Hines makes "puppy ears" over the head of Mary Ann Schlueter during the Hearts and Hands fair program. 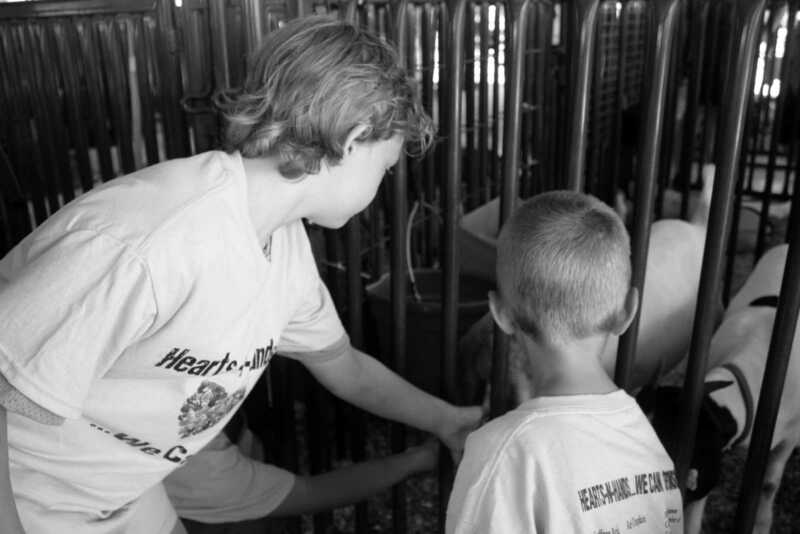 Jerimiah Hoss, left, with help from Jace Daulton, feeds treats to goats during the Hearts and Hands program.